Arrive into San Francisco Airport and transfer independently to your hotel. Your ATI Tour Director will contact you in the evening. 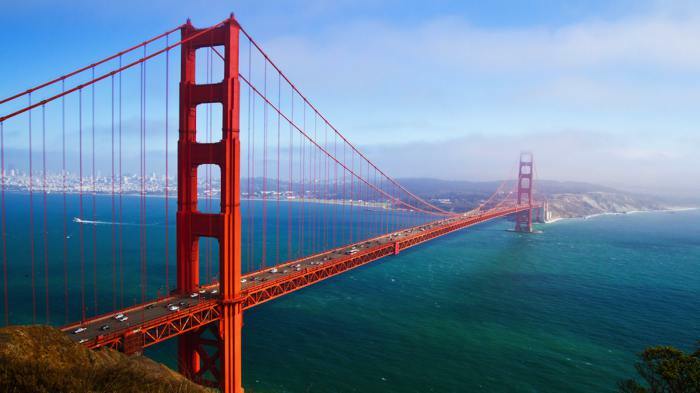 Enjoy a morning city tour which includes Union Square, the Civic Center and Fisherman's Wharf. Standing on a hilltop, watching the fog swirl in through the Golden Gate, it is easy to understand why many consider San Francisco the most beautiful city in America. Enjoy the afternoon and evening at leisure, perhaps a cable car ride to Fisherman's Wharf where one may enjoy a "Taste of San Francisco": local seafood, famous sourdough breads or decadent Ghiradelli's Chocolate. Be sure to gaze across the bay to Alcatraz Island where "America's Most Wanted" such as Al Capone and "Machine Gun" Kelly were incarcerated. Depart for Sacramento, capital of the "Golden State." A stop will be made in Old Town, once a bustling center of the Gold Rush and terminus of the Pony Express. 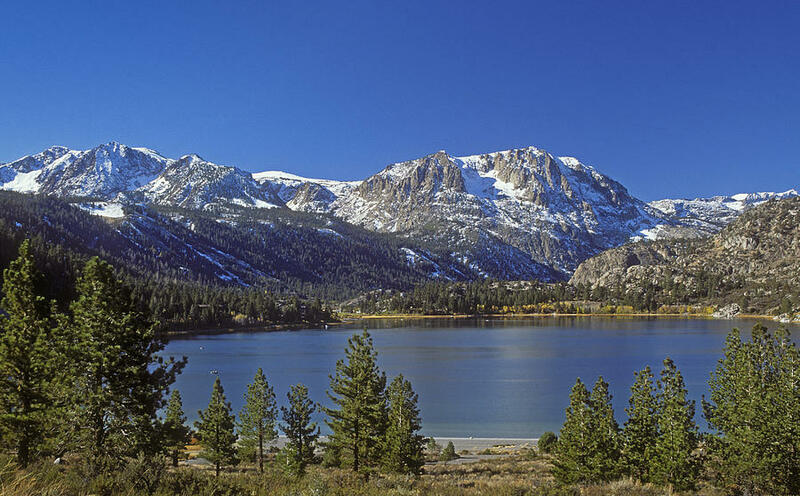 Continue to gorgeous Lake Tahoe, nestled in the Sierra Nevada Mountains. In the afternoon you will visit Virginia City, a 19th century mining metropolis where the Old West comes to life. A short drive takes you to Reno and your hotel, where you may be tempted to try your luck in the casino. 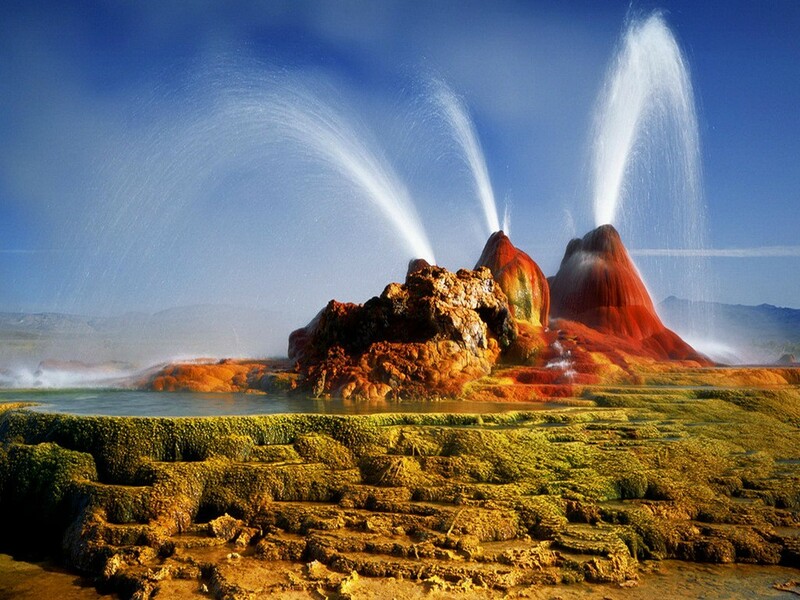 Journey through the Black Rock Desert and across the plains of northern Nevada. Follow the Humboldt River along the route that was once used by early pioneers on the Oregon and California Trails. Visit Elko, the formerly rough and tumble town that once sat at the end of the tracks laid from the west by the Central Pacific Railroad. 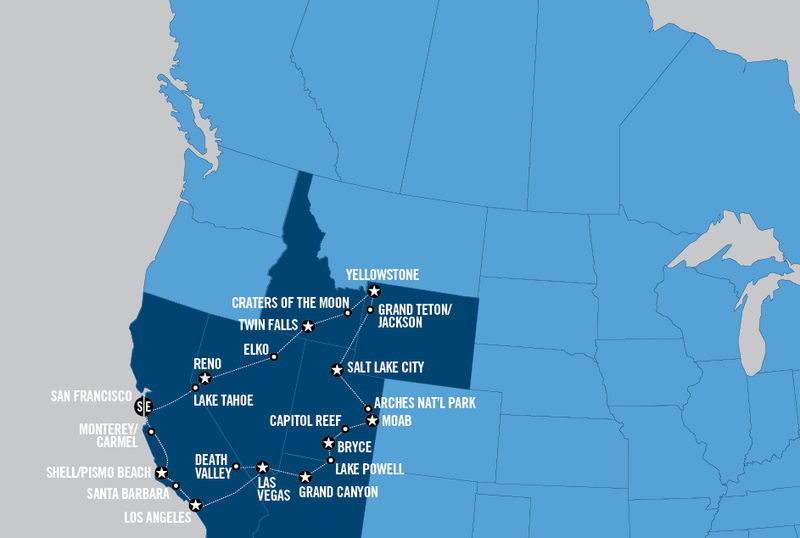 Cross the state line at Jackpot and enter Twin Falls, located within Idaho's Magic Valley region. 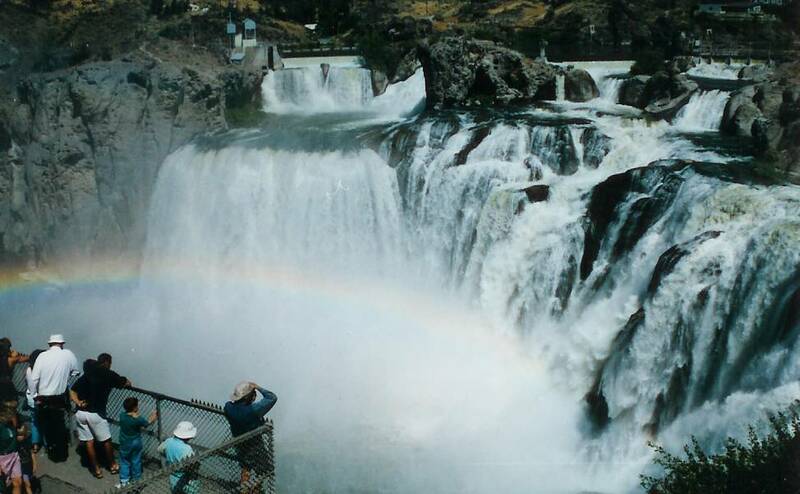 Leaving Twin Falls, you will cross the Snake River, known as "The River of No Return." Then visit Craters of the Moon National Monument. This eerie desert landscape so closely resembles lunar conditions that the training for the first men on the moon actually took place here. Later this afternoon you arrive at Yellowstone National Park, established in 1872 by Ulysses S. Grant as the nation's first National Park. 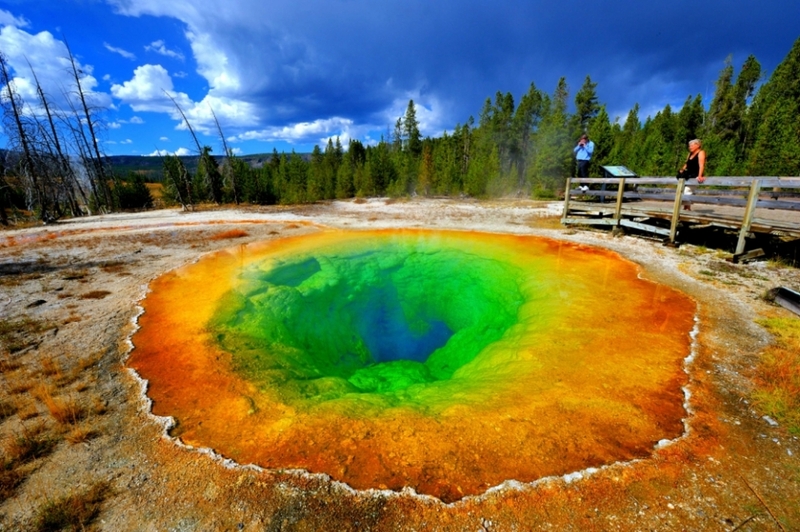 Enjoy a comprehensive sightseeing tour of this immense geothermal wonderland. Highlights of your tour will include Yellowstone Lake, Old Faithful, Mammoth Hot Springs and Yellowstone Canyon's majestic falls (seasonal). 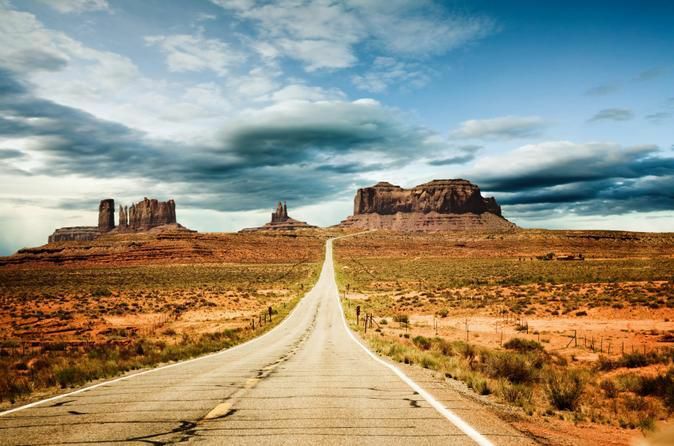 Journey today to two of America's most spectacular National Parks. 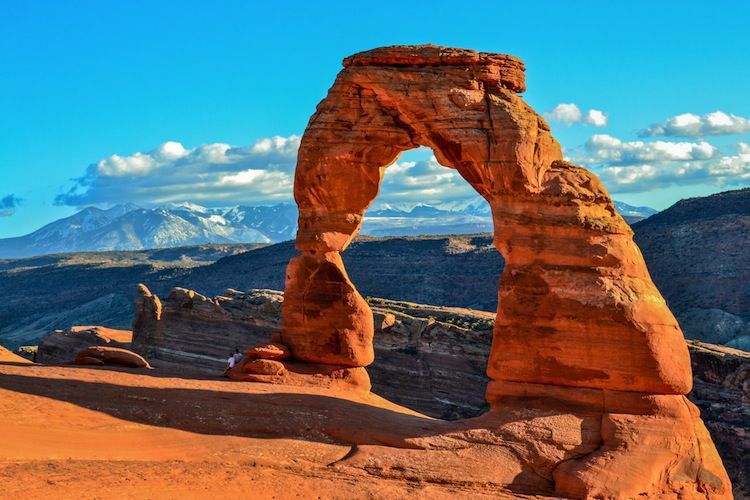 Your first stop, Arches National Park, home to over 2,000 natural sandstone arches, including the awe-inspiring Delicate Arch. Then it's on to Canyonlands National Park, where you will explore the color drenched landscape of sandstone eroded into hundreds of canyons, mesas and buttes by the forces of time and the Colorado River. This evening enjoy an optional Jet Boat Float trip on the mighty Colorado River. 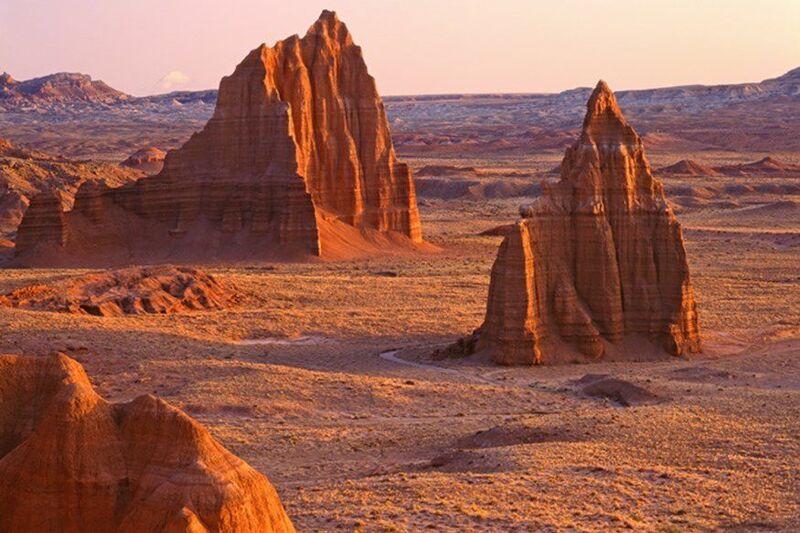 Visit Capitol Reef National Park, a destination of extraordinary natural beauty, established in 1937 to protect a unique geological feature. Continue to spectacular Bryce Canyon, where a tour through a multi-colored world of sandstone spires and pinnacles, "hoodoos", will dazzle the eye. This evening, weather permitting, be sure to gaze upon the spectacular night sky filled with sparkling stars and brilliant constellations and the aroma of pinewood campfires. Travel to stunning Lake Powell, where crystal blue water laps against towering red rock canyon walls. After crossing the Colorado, enter the Navajo Indian Reservation and drive through the Painted Desert via Cameron Trading Post. Arrive at the Grand Canyon, one of the 7 great natural wonders of the world. Stop at the rim to fully experience this mile-deep colorful canyon's plunging gorges and rising spires formed by the mighty Colorado River. Overnight in Flagstaff. Descend the high Coconino Plateau into the Mojave Desert. 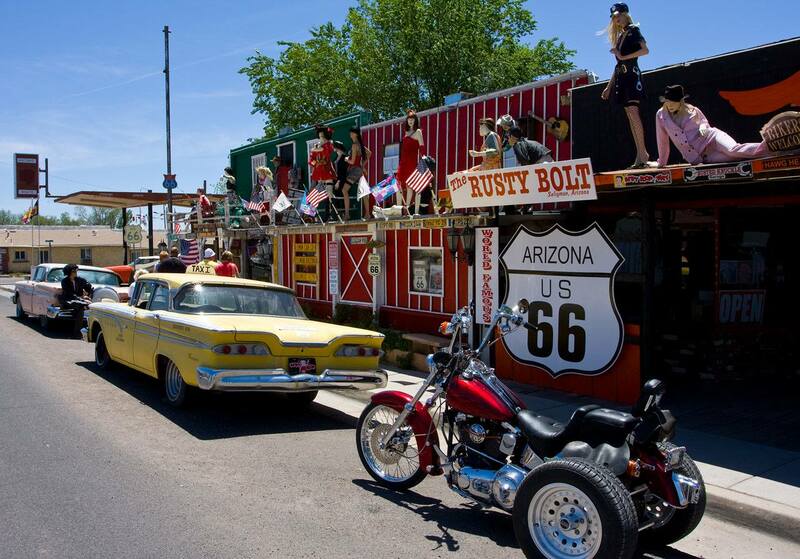 Along the way, pass through Seligman, a town built along the famed Historic Route 66 that looks as if it were frozen in time 60 years ago. Onward to Las Vegas, the dazzling “Entertainment Capital of the World”. Day at leisure! Enjoy all that Las Vegas offers. In addition to shopping, bustling casinos, and Broadway-caliber shows, you might simply stroll the famous Strip or take an optional trip to Death Valley, one of the hottest, driest, and lowest places on the surface of the Earth. 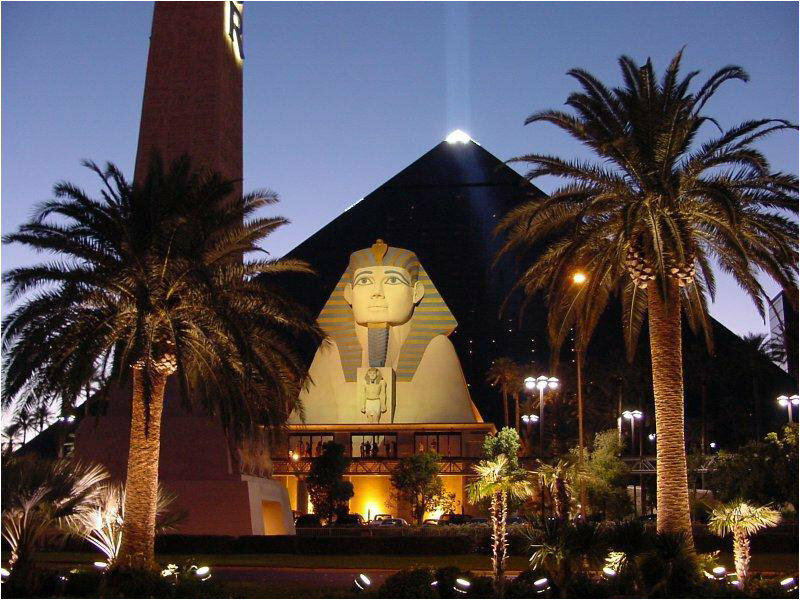 Today starts with a stop at the iconic Las Vegas Welcome Sign where you may wish to capture your photo memory. Travel to Los Angeles via the Mojave Desert. Strands of unique Joshua trees dot the mountainous landscape. 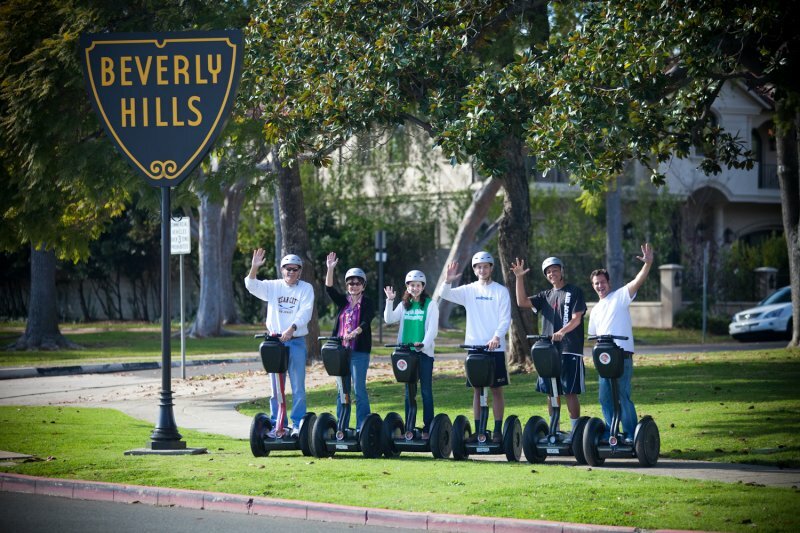 Upon arrival in Los Angeles you will enjoy a tour including Hollywood, Sunset Strip and parts of Beverly Hills, before reaching your hotel. Today either spend the day exploring Los Angeles at your leisure, or take an optional full-day tour visiting the world's largest movie studio and theme park: Universal Studios. Travel north along the beautiful Pacific coast this morning, passing through the iconic beach communities of Santa Monica and Malibu. 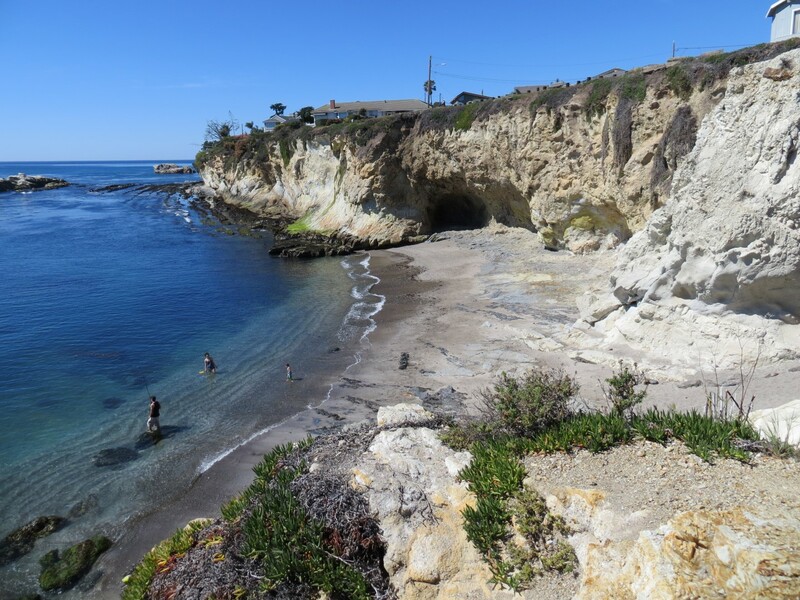 Stop by the “finish line”; of Historic Route 66 and at an iconic Californian lifeguard tower made famous by “Baywatch”; and on to Santa Barbara, where palm-lined walkways border white sandy beaches. Stop for lunch, and enjoy the Spanish architecture before continuing to a quaint central coast town. 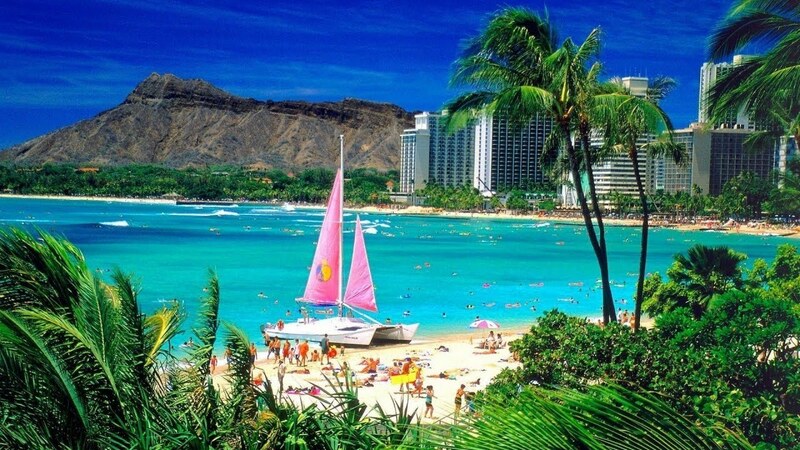 Dip your toes into the cool refreshing waters of the Pacific during an early morning beach stroll. This morning we make our way north to Carmel. Enjoy browsing through the shops and galleries of this famous colony. Then, traveling further north, you visit Monterey's Old Fisherman's Wharf. Continue to San Francisco, the "City by the Bay." The tour concludes upon arrival at the hotel. 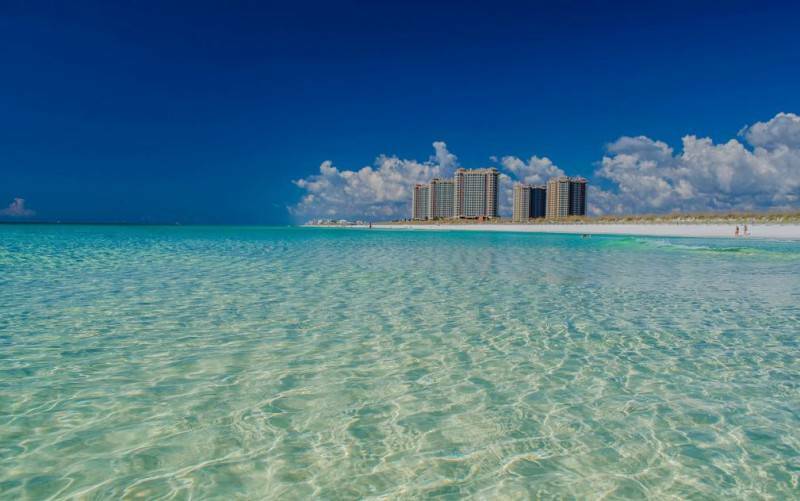 - Shuttle: GO Lorrie’s is available to transport passengers from the airport to their hotel. One-way seat-in fare per person is approximately USD $18. For instructions on how to get to GO Lorrie’s after you land, please call 1+ (415) 334-9000 or visit www.gosfovan.com. - Day 1 (Saturday): Upon arrival, passengers should check-in at the front desk of the Hotel Carlton and identify themselves as participants of ATI’s Western Bonanza Motorcoach Tour. Passengers arriving between the hours of 2:00 pm and 8:00 pm should then proceed to ATI’s Hospitality Desk and check in with ATI’s Tour Director. - Day 2 (Sunday): ATI’s San Francisco City Tour departs at 8:30 am. Passengers should meet ATI’s Tour Director in the lobby of the Hotel Carlton at 8:15 am. - Day 3 (Monday): ATI’s Western Bonanza Motorcoach Tour departs for Reno at 8:00 am. Passengers should meet ATI’s Tour Director in the lobby of the Hotel Carlton with their luggage at 7:30 am. - Day 17 (Monday): ATI’s Western Bonanza Motorcoach Tour concludes upon arrival at the Hotel Carlton at approximately 6:00 pm.